What happens to the parents, brothers, sisters, sons and daughters of those willing to sacrifice everything for their beliefs? 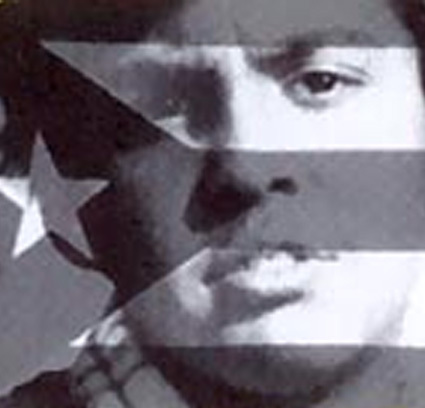 Breaking ground stylistically, this film uniquely blends forms to tell the singular story of a son of Puerto Rican revolutionaries — his mother in prison, his father in exile — sent as a baby to Mexico to be raised in safety and anonymity. As a teenager Ernesto/Guillermo learns of his past and collaborates with filmmakers Catherine Ryan and Gary Weimberg to magically chronicle his turbulent journey of self-discovery, offering a striking account of the costs of fiercely held convictions and the binding force of a son’s love. This is a POV and LPB Co-Presentation. Gary Weimberg is a veteran documentary director and editor who counts two Emmys among his many awards. His first Emmy came for editing the feature-length Earth and the American Dream (1992) for HBO. He earned his second for directing and editing, as well as co-writing, the first two hours of the four hour Fox Network mini-series, Loyalty and Betrayal: A History of the American Mob (1994). More recently, Weimberg co-produced and directed (with Catherine Ryan and Judith Leonard) the ABC primetime documentary The Story of Mothers and Daughters. His editing credits include Dear America: Letters Home From Vietnam (HBO, winner of two Emmys), the Oscar nominated short, Memorial , and Superchief: The Life and Legacy of Earl Warren, which was also nominated for an Academy Award, and which Weimberg co-wrote. The Double Life of Ernesto Gomez Gomez won Best Documentary at the San Antonio Cinefestival, the Athens Film Festival, and the Big Muddy Film Festival. Catherine Ryan has been producing, directing, and writing documentaries since 1990, including the award winning Maria’s Story, which was broadcast on P.O.V. in 1991. She produced and directed Healing the Family, one episode of Making Peace the series that aired on PBS in 1996, and shared producing and directing duties (with Gary Weimberg and Judith Leonard) on the ABC special, The Story of Mothers and Daughters.